Principia’s team of property experts is here for you. You benefit from a single point of contact – your property manager – and a dedicated support team that will consistently and continuously understand and service your needs. Our two large teams of property managers report to their team leader, and in turn to a senior team manager and our director. Each property manager enjoys the support of a dedicated assistant in addition to the invaluable support from our administrative team. Our market-leading finance team consists of client-facing, efficient client accountants supported by purchase ledger, banking and credit control clerks, headed up by our group financial controller. An operations manager completes a talented, personable, well qualified, supportive and client-focused group of property management professionals. 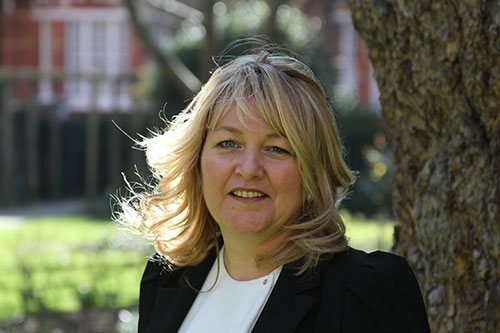 With nearly 30 years’ experience in the residential property business, Simone has actively managed a wide range of mansion blocks, predominately through large estates in the Royal Borough of Kensington & Chelsea as well as large complex developments throughout London. 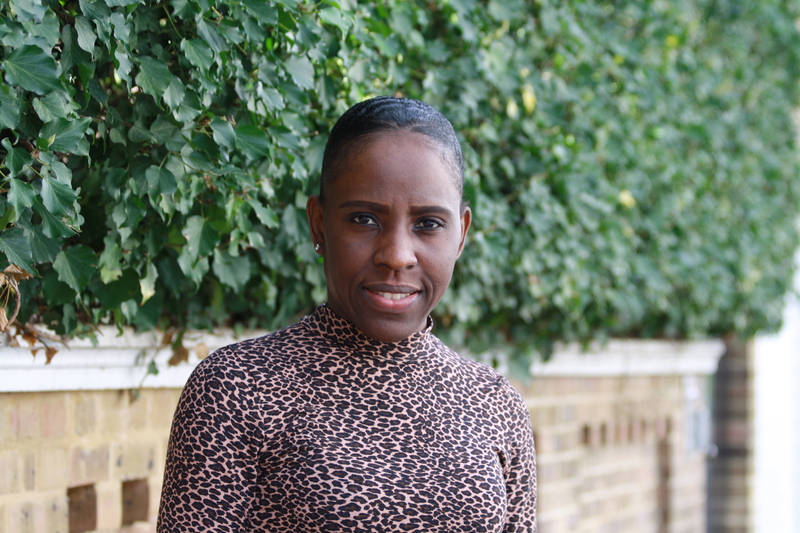 Simone takes particular pride in delivering an attentive and responsive service for her customers. With meticulous attention to detail, she treats each property as if it were her own. Her approach is simple: get things done and make customers' lives easier. 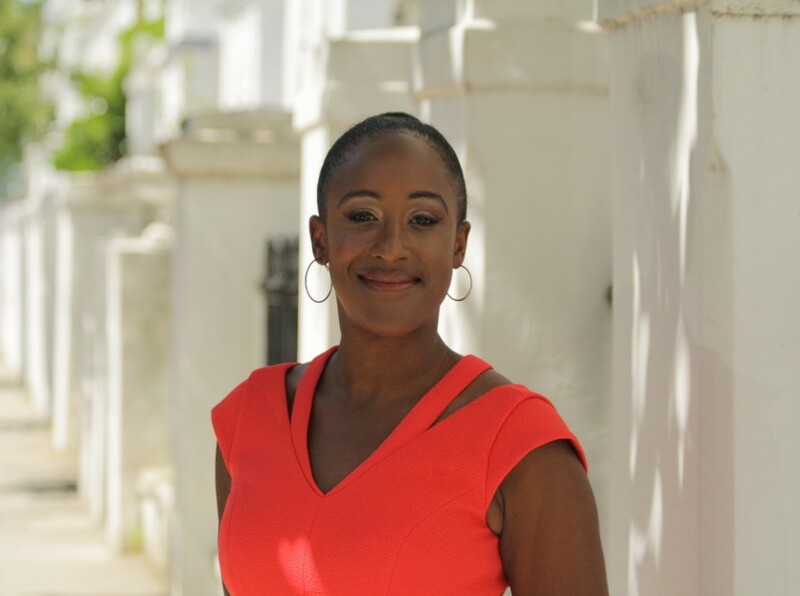 Simone's greatest satisfaction comes when she is able to change customers' perceptions of what dealing with a 'normal' managing agent is like, and is determined to prove that not all property management companies are the same. Why do you enjoy working for Principia? Having worked for a large corporate organisation I enjoy working in a smaller team who are all in the same location which allows for queries to be dealt with quickly and efficiently. I enjoy playing jokes and having jokes played on me! Your best Property Management tip? To look at the property you manage as if it was your own home and what you would expect it to look like. Erin Brockovich as she’s a determined and successful woman who was able to help people voices to be heard. Favourite thing you like to do? To spend time with my husband and three daughters, shopping, travelling and entertaining. 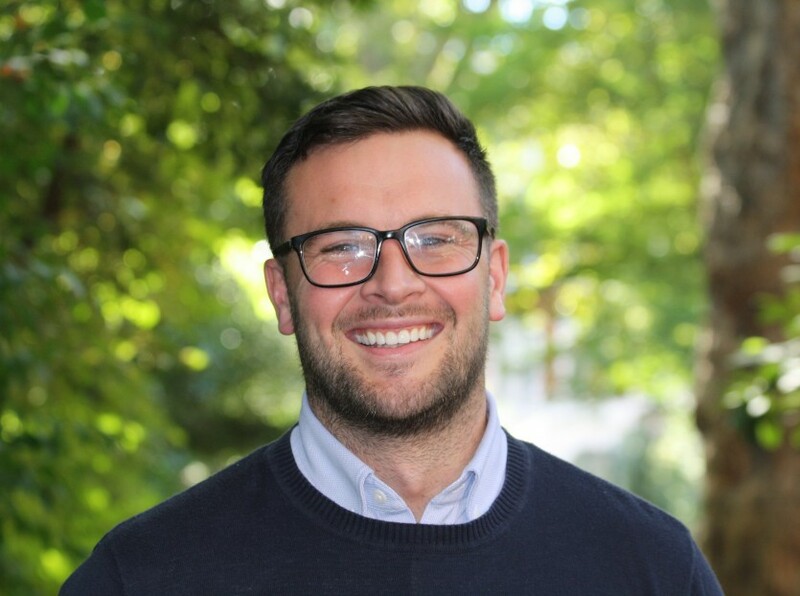 Lewis began his career at Principia in May 2016 as a Property Manager after taking the decision to pursue a personal goal of working in London. After internal progression within the organisation he is now working as Senior Property Manager and oversees a team of Property and Assistant Property Managers. 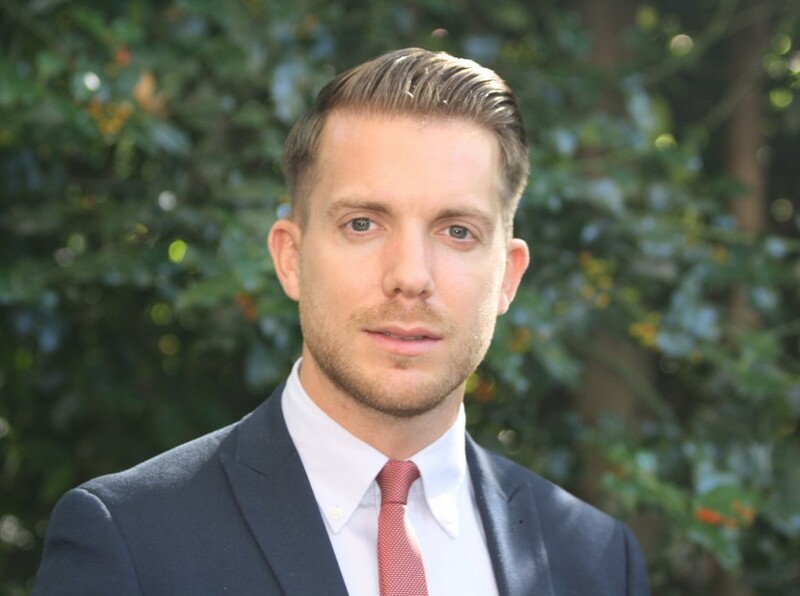 Further to team management, Lewis also looks after a portfolio of properties within the Royal Borough of Kensington and Chelsea and prides himself on his relationship with his clients and his service delivery. He is an Member of IRPM and has aspirations to pursue higher learning with RICS. To achieve this, Lewis is regularly seen attending seminars and Property Management related workshops to gain additional knowledge and experience in his profession. I enjoy working with a diverse range of clients and leaseholders. This ensures that no two days are the same and I am always learning new things each day. 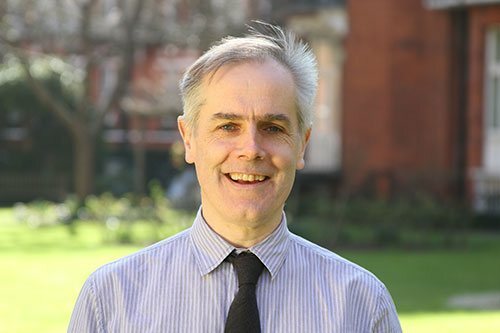 Since joining Principia I have been warmly welcomed by all the staff and the office atmosphere is both professional and dedicated to delivering the best possible customer service. Organisation and communication are two key aspects to a successful Property Manager. I am a big fan of music and enjoy attending gigs in my free time. 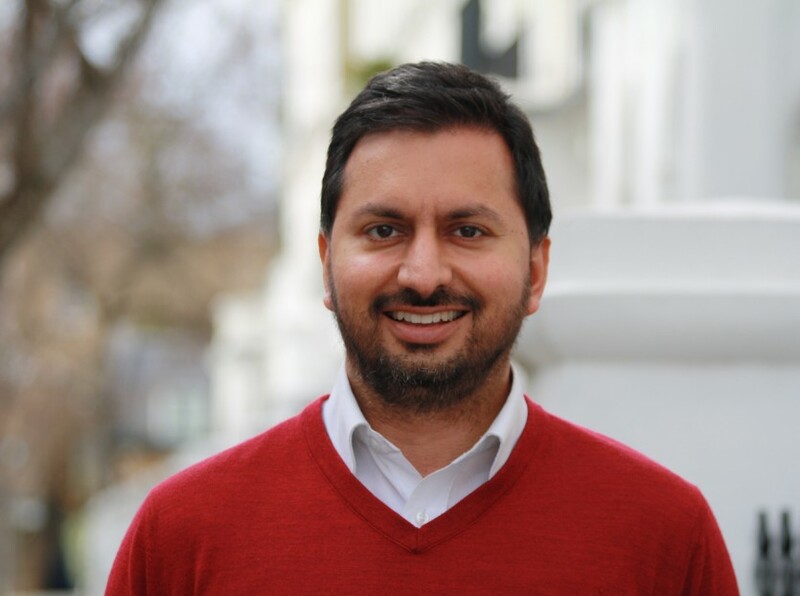 Sanjay joined the Principia team in 2018, with over 17 years’ experience in residential property management business, Sanjay has worked on a plethora of different properties ranging from chic high end properties to large complex developments within Central London. 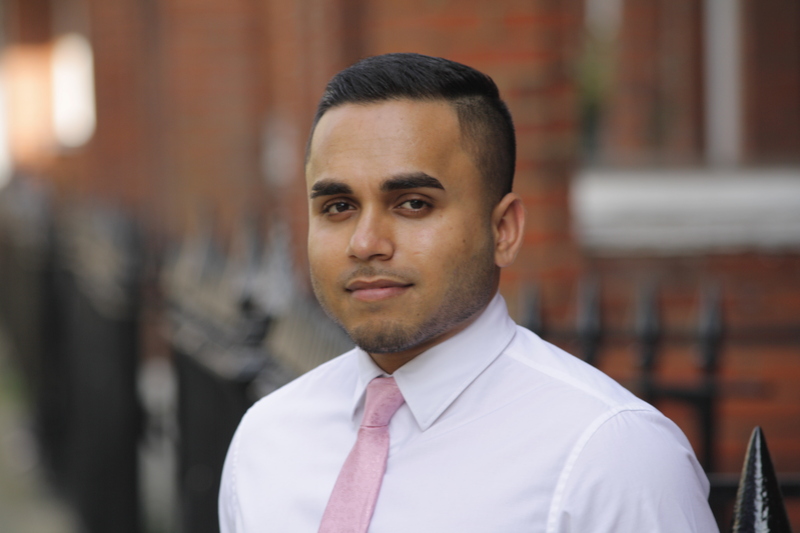 Sanjay is one of our Senior Property Manager, overseeing and developing a small dedicated team, whilst managing his own diverse portfolio. 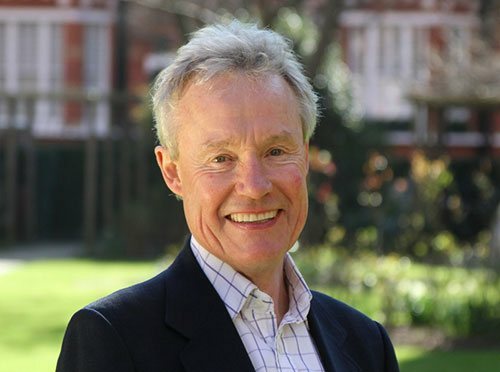 Andrew joined Principia in March 2016 and has nearly 30 years’ property management experience, managing residential properties of all types and sizes throughout London. An associate member of the RICS, Andrew is also MIRPM qualified and is your main point of contact for Shrewsbury House residents. It is a small independent, friendly and highly professional team which I am proud to be a part of. I play in a jazz band. Charles Dance, because of his versatility. 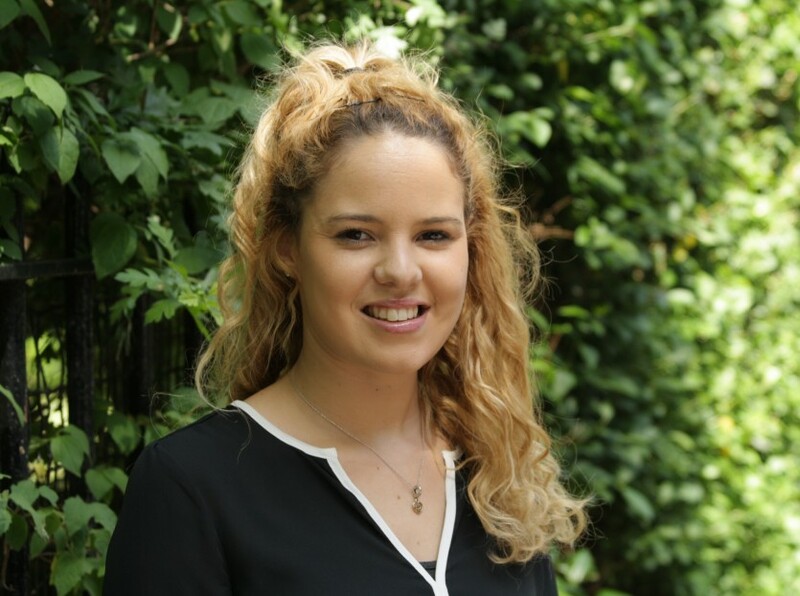 Demi begun her property career within the lettings industry, following completion of her Degree in English and Philosophy, Demi joined Principia to pursue a career in the property sector. Since joining Principia, Demi has received two internal promotions. Demi has built great relationships with all of her clients and enjoys working in an industry where every day is different. 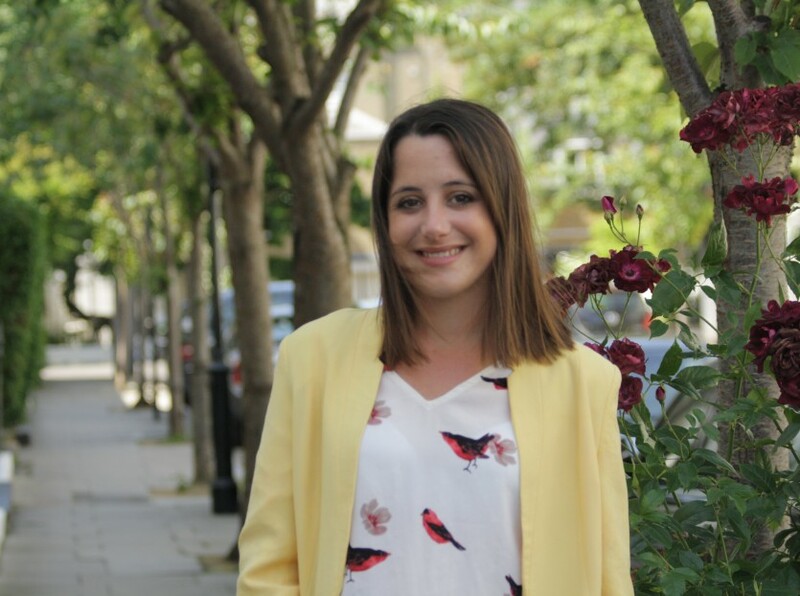 Perrine joined the Principia Team in March 2017, after moving to London following the completion of a Masters in Private Law, specialised in Contract Law and Liability Law. 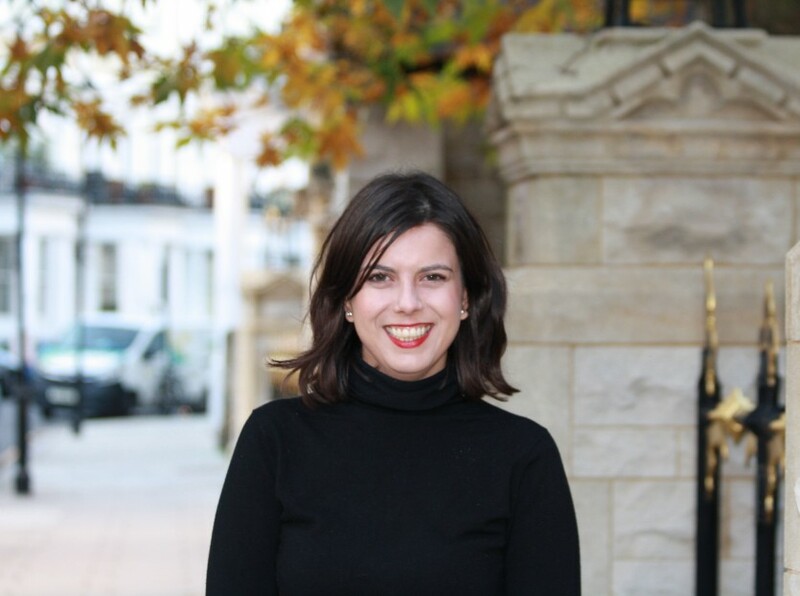 Perrine has established a good knowledge of both Contract and Property law with her education, and has previous experience as a legal assistant in repossession. 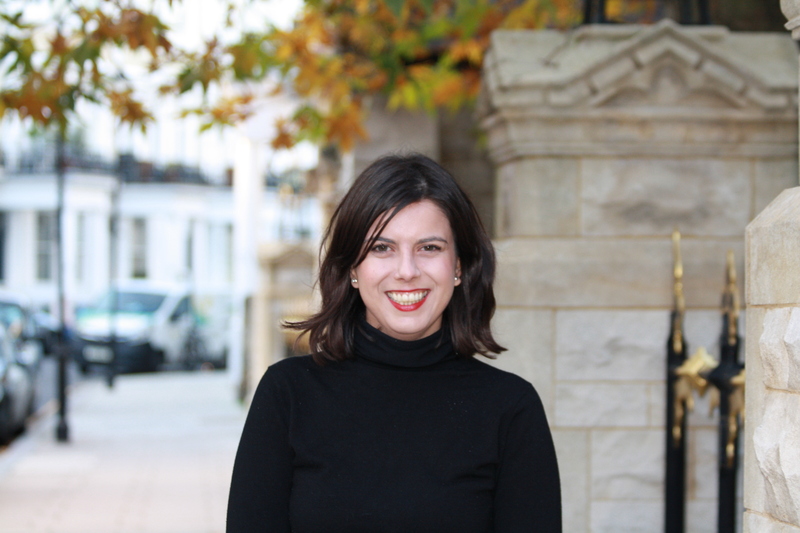 Perrine manages her own Portfolio and has is now an Associate of the IRPM, looking forward to gaining the Member qualifications. Perrine is also bilingual, and will be happy to assist you should you require a French speaker. Principia offers a lot of opportunities and challenges. I have learnt a lot since I started in this company, and I am still learning new things every day! I love teaching. Previously I was teaching students law at the University of Law in Bordeaux. I have also been a French teacher in London. Meet your clients! The personal approach is the key. Anne Dorval for her courage in Mommy, Canadian film directed by Xavier Dolan. Spending hours at the gym, and then relaxing with a book. 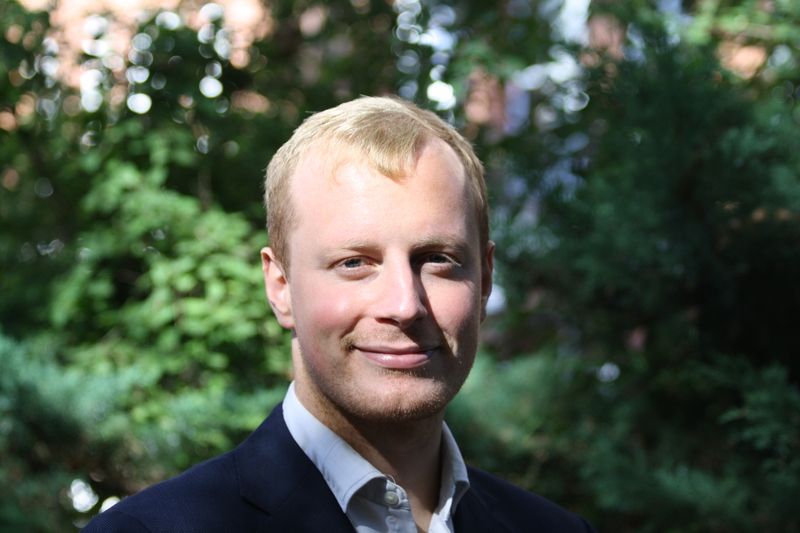 James joined Principia in November 2016 to broaden his knowledge of the property sector. James manages his own portfolio and assists on other properties. 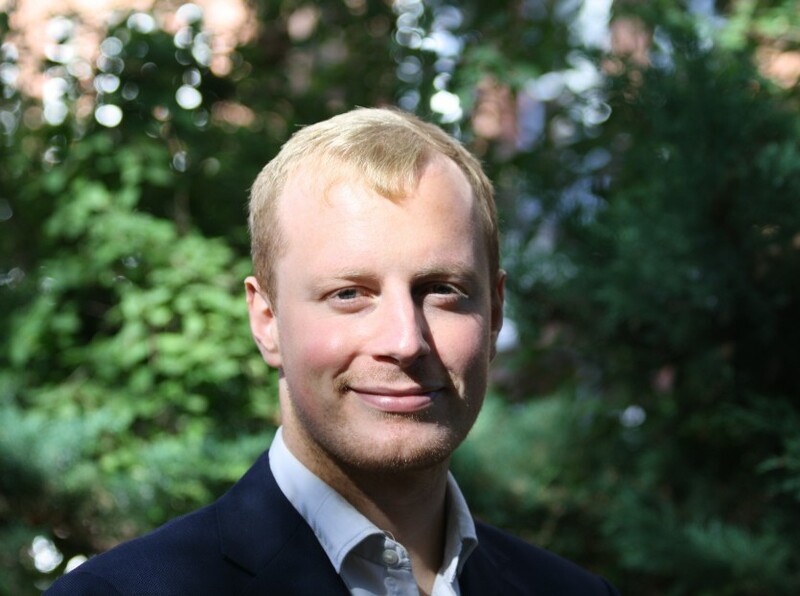 James has worked within the property industry for over 5 years having worked at Knight Frank LLP, managing residential properties in Islington and Kings Cross. 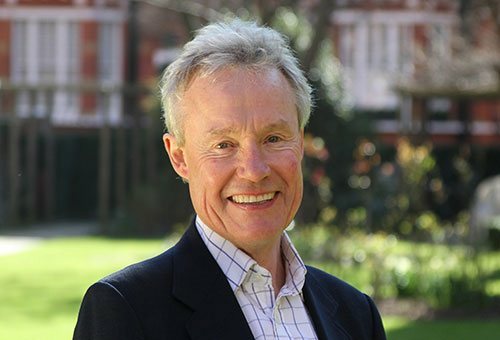 He has experience with working with new build and listed buildings and also has a past experience in accounts. It is a pleasure working in such a great environment where its both professional and friendly; everyone gets on so well. It’s great to work somewhere where everyone works in tandem and queries can be dealt with straight away. I used to play Semi Professional Football. Communication is key, it’s always best to pick up the phone and provide an update even if it’s to make someone aware you are dealing with the issue in hand. Ryan Gosling, Great Actor and has impeccable dress sense! Playing or watching football with family and friends. 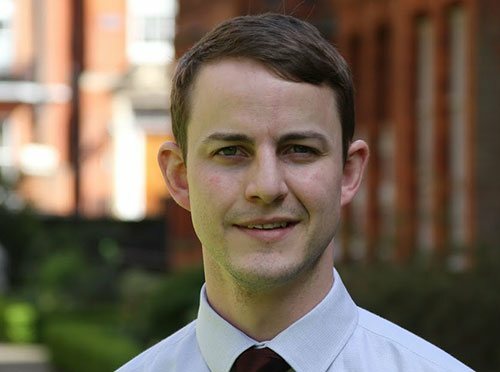 Edward joined the Principia Team in January 2017, making the move to London after previously managing blocks of flats primarily around the Warwickshire area in his previous position. 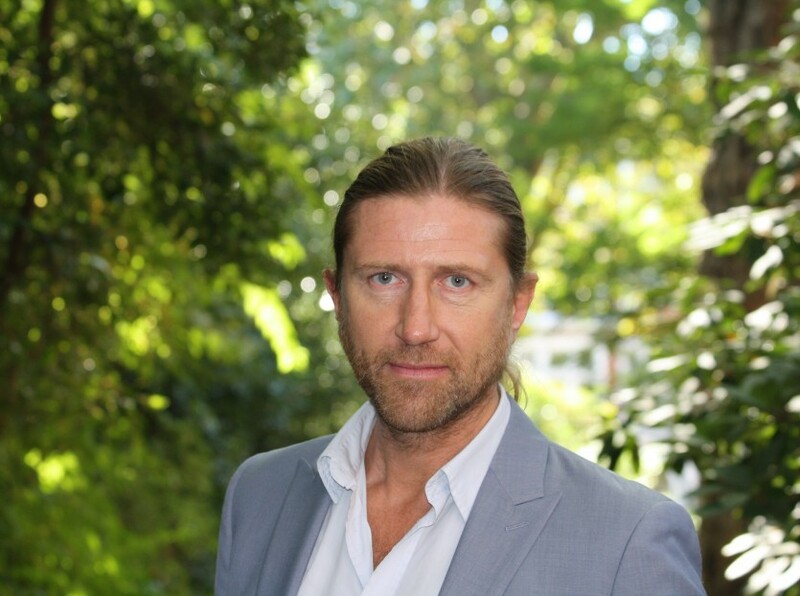 Edward now manages a number of properties across the Kensington & Chelsea area. The office is a really friendly and welcoming environment, where everyone is happy to provide support and pass on knowledge they have. I once played touch rugby with Martin Johnson (very briefly). Communication is key. An email or a phone call is an easy thing to do, and can go a long way to putting peoples mind at ease. Owen Wilson, because he is an all around good guy. Both watching and playing rugby, and also enjoy a spot of cycling. 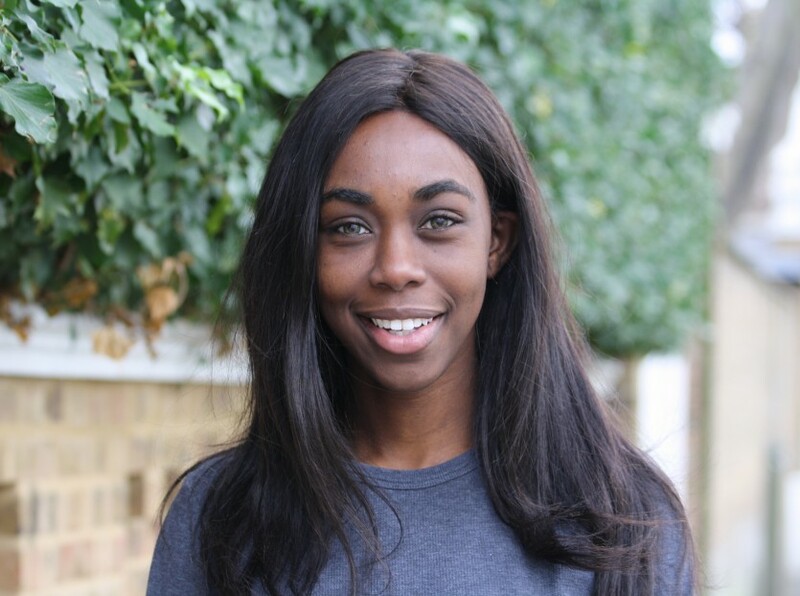 Sydney joined Principia in September 2015 as an Assistant Property Manager, her first role within the Property Industry. 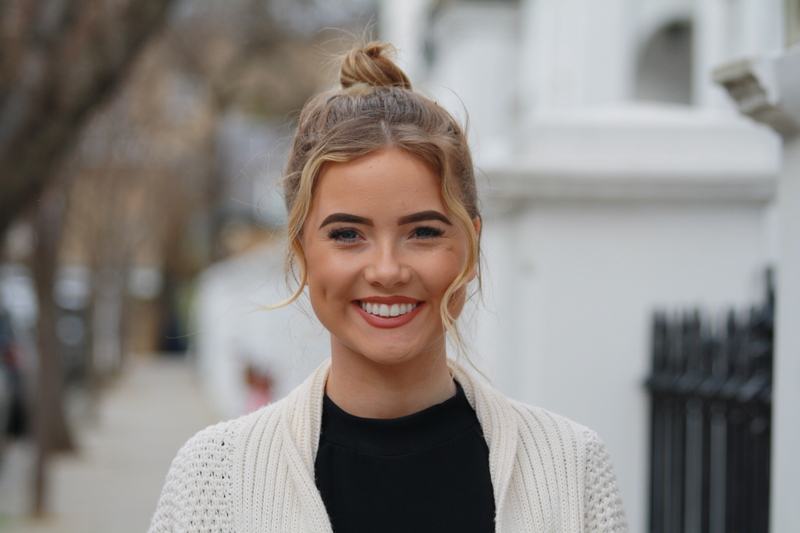 Sydney was promoted to Property Manager in April 2017 and is thoroughly enjoying managing a diverse portfolio of properties in Chelsea and Kensington. 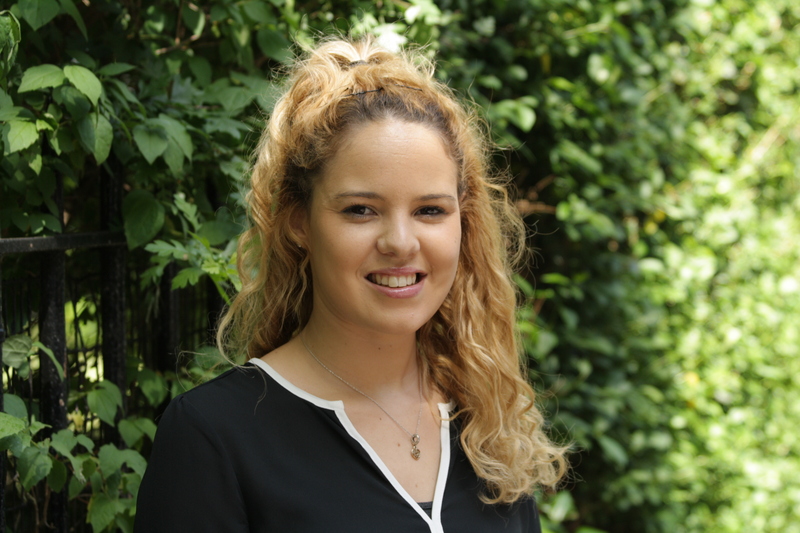 Sydney is an Associate of the IRPM and looking forward to gaining her MIRPM qualifications. She looks after Social Media for the company and Principia’s charity work. We have a great team here, with a range of experience. There’s always someone who can advise you, we all help each other. I am a keen poet. Zoe Kravitz – I love her. Family time with my daughter, two dogs and husband. Having recently joined Principia after working as a sales coordinator. 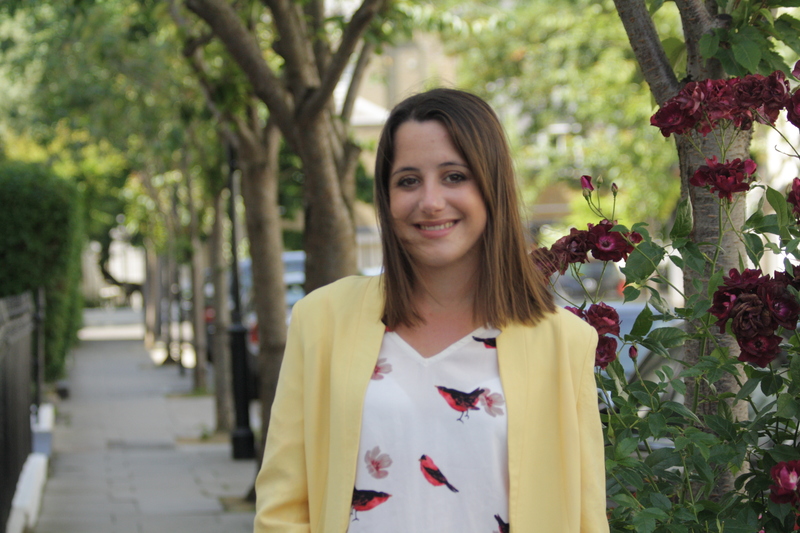 Jessica is an Assistant Property Manager at Principia who works alongside a Property Manager on a large portfolio of properties in the royal borough of Kensington and Chelsea. Jessica is looking forward to working towards her IRPM qualifications in order to support her growth into the role. The thing I enjoy the most about working for Principia is the office atmosphere, everyone is so helpful and friendly, it is a great team to work with. For my last birthday I swam with sharks. It was an amazing surprise from my sister. My best property management tip would be to be extremely organised and great at multi-tasking as there is always loads on that you need to juggle. I would probably say Kate Hudson, she is hilarious and always plays great characters. 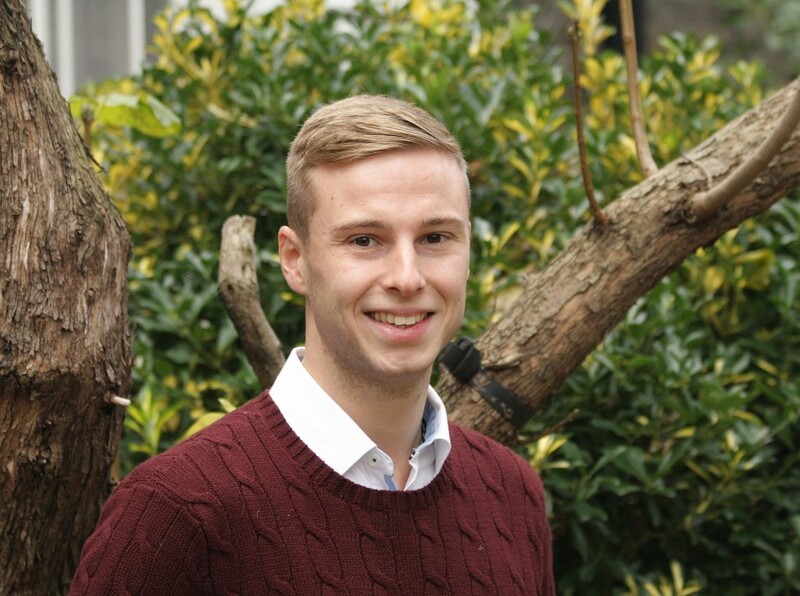 Sam joined Principia in late 2017 to start his career in the property sector, after making a move to London from Southampton. 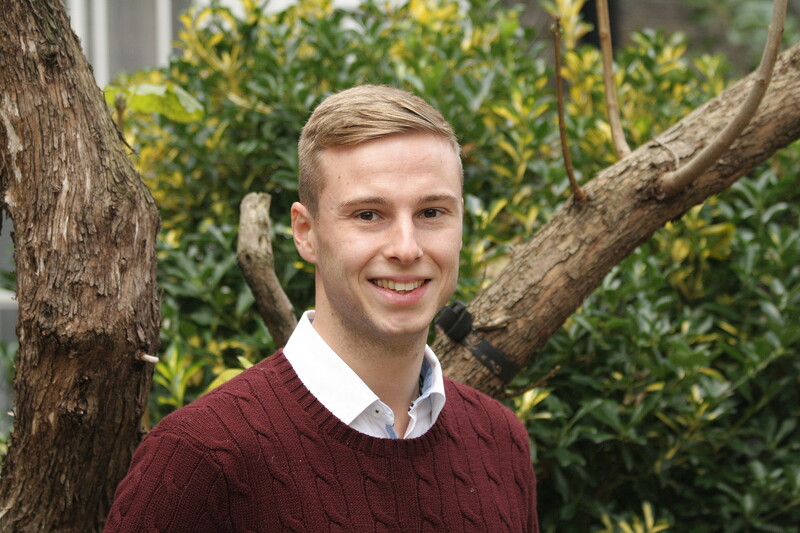 Sam is currently building up his portfolio of properties and is working towards his IRPM accreditations. 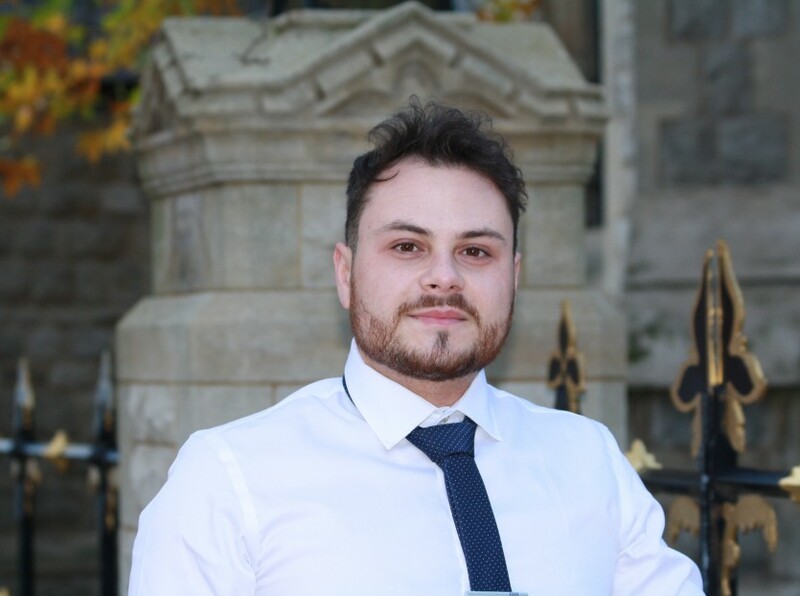 Sam graduated from Uni with a business and IT management degree and began his working life in sales and customer facing roles. 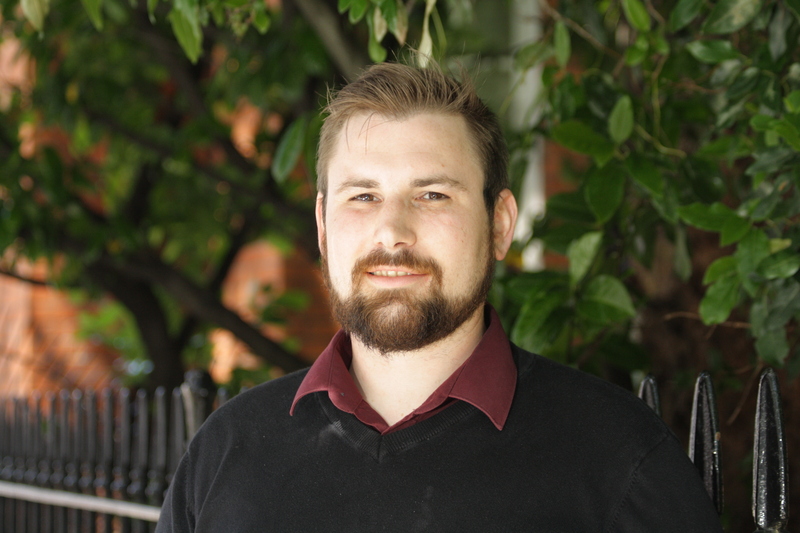 Sam has previously lived and worked in Canada and spent time exploring parts of South-East Asia. I was drawn to Principia due to the emphasis on building quality relations with clients. There is also a supportive and energetic environment in the office. Coming from a none property background this is a real benefit. I love travelling and exploring. I have climbed Kilimanjaro, cycled through the Himalayas in India and have also cycled from Canada to Mexico. Be organised. There is so much going on that you need to ensure you are on top of everything. Daniel Craig because he is confident, adventurous, dresses well and thinks quickly on his feet. I love travelling and exploring new places. Skiing is also a big hobby of mine. 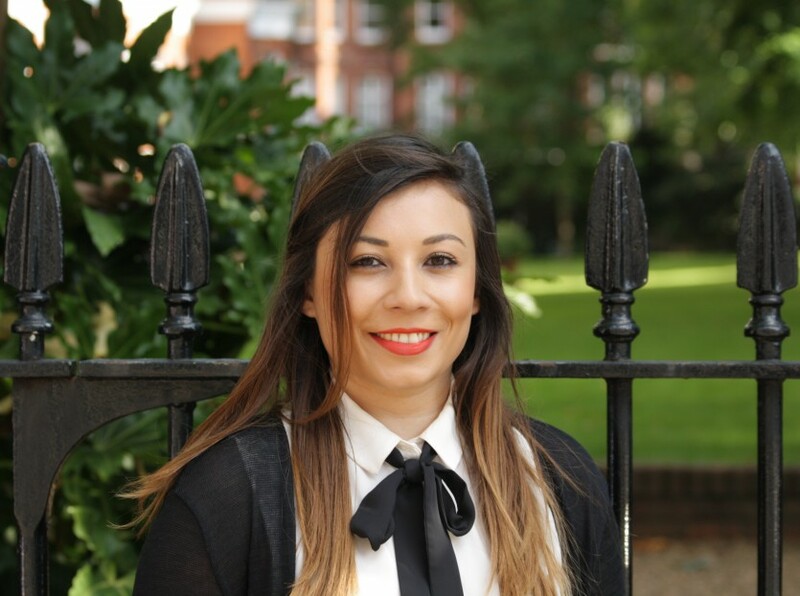 Francesca has recently joined the principia team after 2 years working in the Housing Regulation Sector. 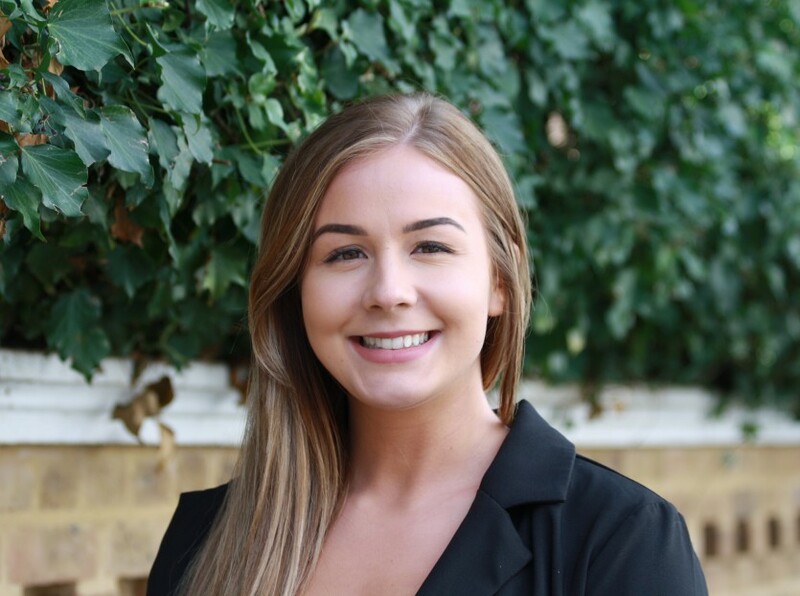 Francesca is working alongside one of our property managers on a large and diverse portfolio to enhance her knowledge on Property management and is looking forward to working towards her IRPM qualifications. The work is varied. The team at Principia is very knowledgeable and customer- focused. Everyone here is friendly, professional and motivated. I am an archaeologist. Whilst at Uni I was part of an archaeological expedition and my team and I discovered a Roman Villa. It was very exciting. Keeping the customer updated. Communication is very important. Meryl Streep… She is absolutely amazing. I love travelling and spending quality time with my Family and friends. 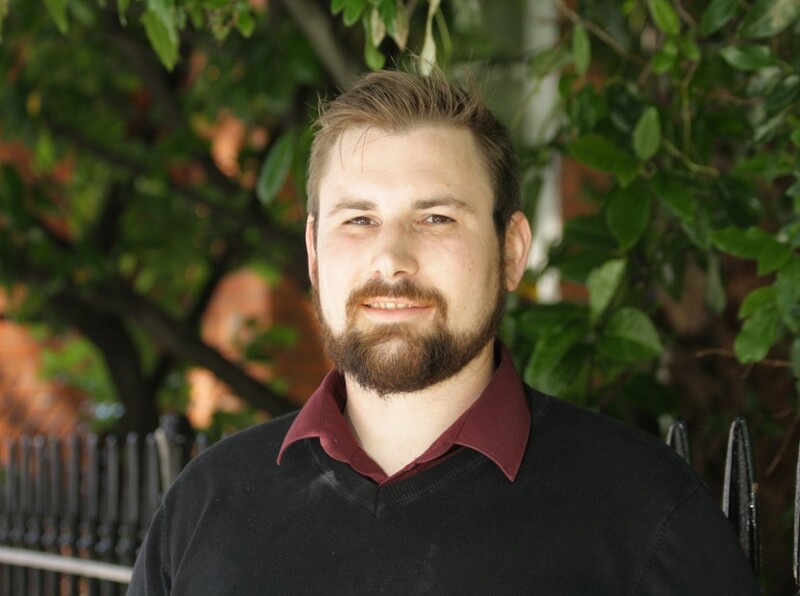 Chris joined the team in 2018 as a Property Manager coming from a background in Local Government Commissioning, Electrical Engineering and Corporate Communications. He has acquired transferable skills in these fields and now is looking forward to beginning a promising career with Principia and gaining IRPM qualifications. Principia offers me a chance to learn and grow as an individual in the pursuit of industry recognised qualifications. I enjoy learning in a client driven environment where best practice is at the forefront of everything undertaken. Build and maintain good working relationships through excellent communication and a personal touch. 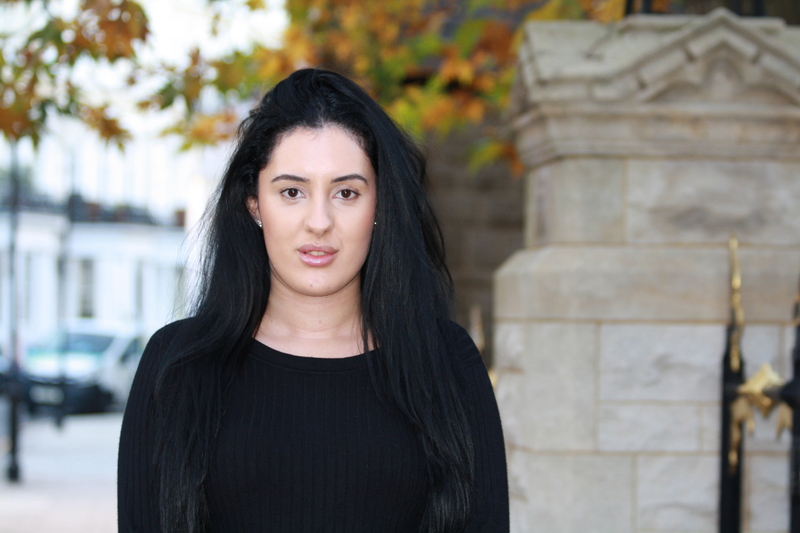 Having studied in Brighton and New York, Lale achieved a degree in International Business. 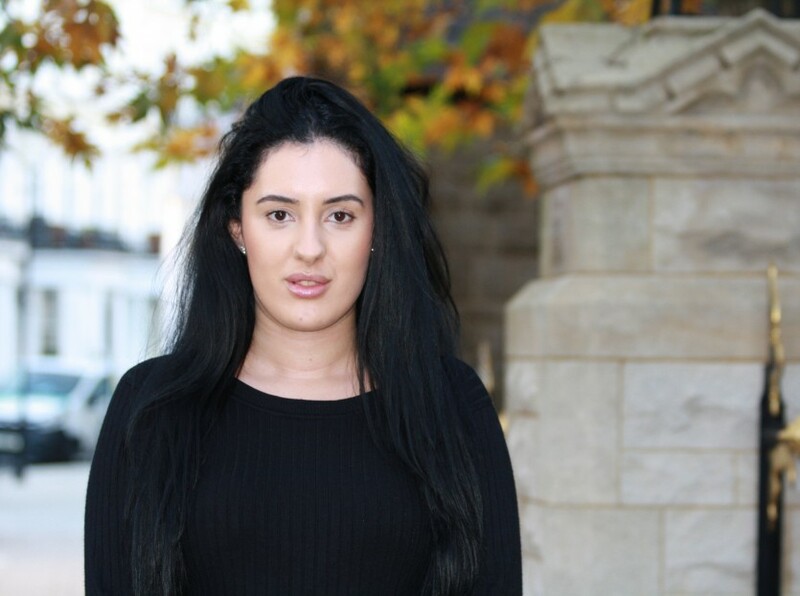 Between graduating and joining Principia, Lale experienced working for an engineering company, dealing with the early stages of construction projects, which is where her love for the construction and property industry began. Lale then moved onto the estate agent environment, in the capacity of property manager. Lale has also enjoyed extensive travelling within Europe, South America and Asia. The office environment at Principia is unique. Everyone is like minded in their humour, work ethic and support for each other. I once hiked up an active volcano during my travels in Indonesia. Being realistic, honest and actively communicate even if there has not been any progress on the concerned matter. Whether it’s clients or contractors, we are all working together though in different capacities, to achieve the same goals. Penelope Cruz because she is small and feisty! Drink cider, watch Arsenal and organise my next travels! 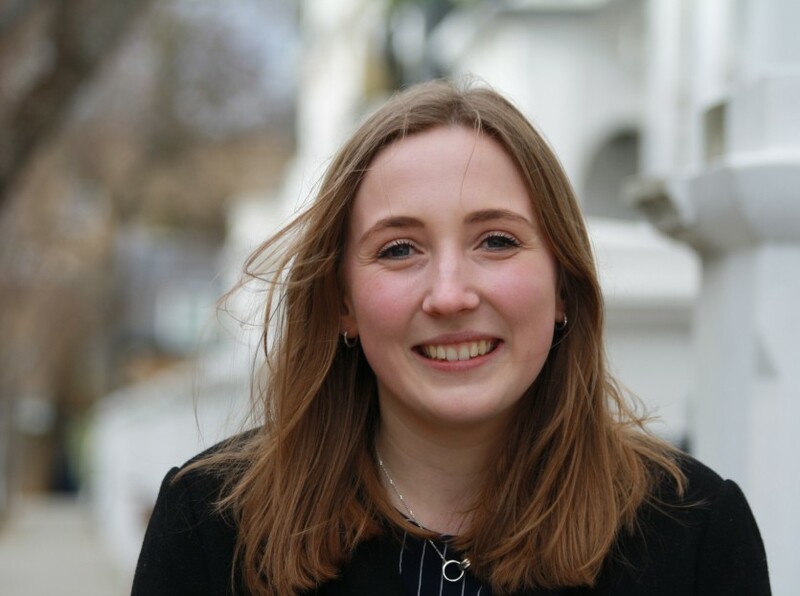 Since recently joining the principia team, straight from sixth form, Olivia is enjoying learning about the world of finance, and using her new skills to assist suppliers. Olivia hopes to further her studies in this area and gain experience from her role. Principia provides a great working environment. Both relaxed and challenging. I adore the royal Borough of Kensington & Chelsea which makes it a joy to come to work in the morning. No two days are the same and it makes the days very interesting. My favourite thing to do is be around animals. Whether that be at the Zoo, in a wildlife park or in the wild, I could watch them for hours! Stay organised and always communicate with others. Emma Watson as Hermione Granger, because Harry would never have made it to the deathly hallows without her. Shopping and spending time with friends. 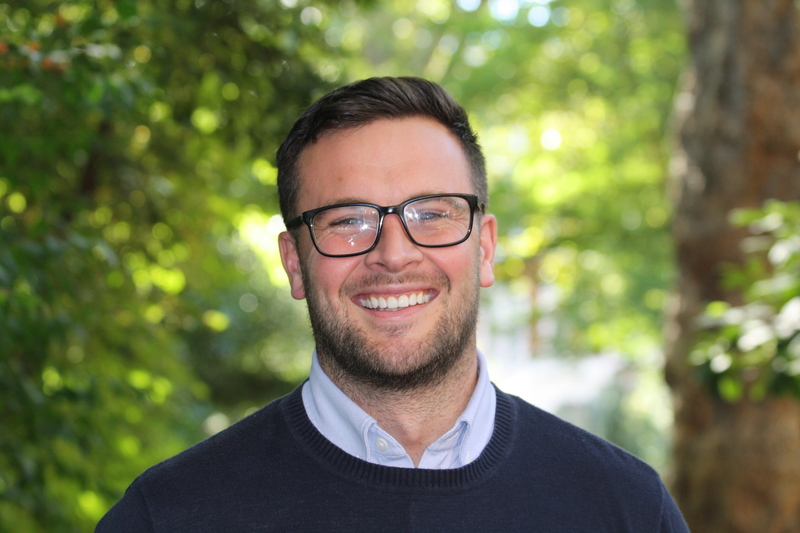 Andrew started working at Principia in 2018 and has over 14 years’ experience in property with previous roles in Property Management and Property Development across North and East London. 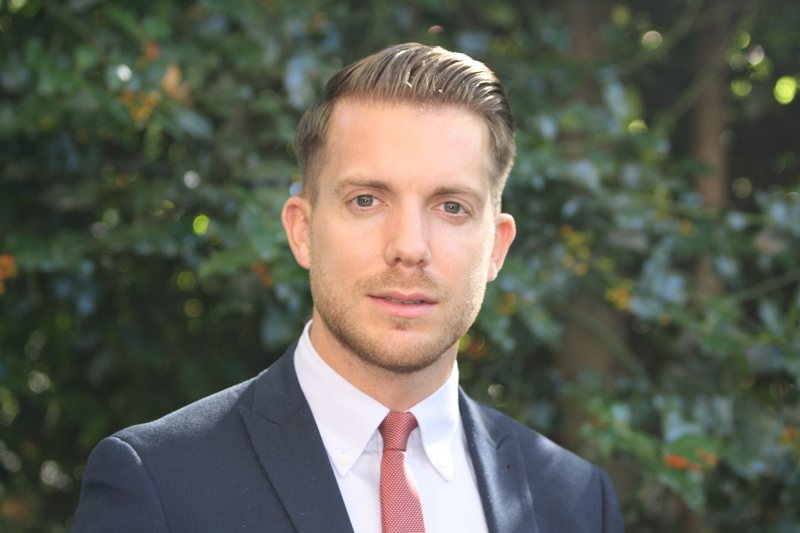 Andrew enjoys a challenge and working closely with his clients to deliver on their expectations and establishing long term plans in the benefit of the property whilst also overseeing the day-to-day requirements. Victoria joined the Principia team after graduating from Oxford Brookes with a degree in Geography. 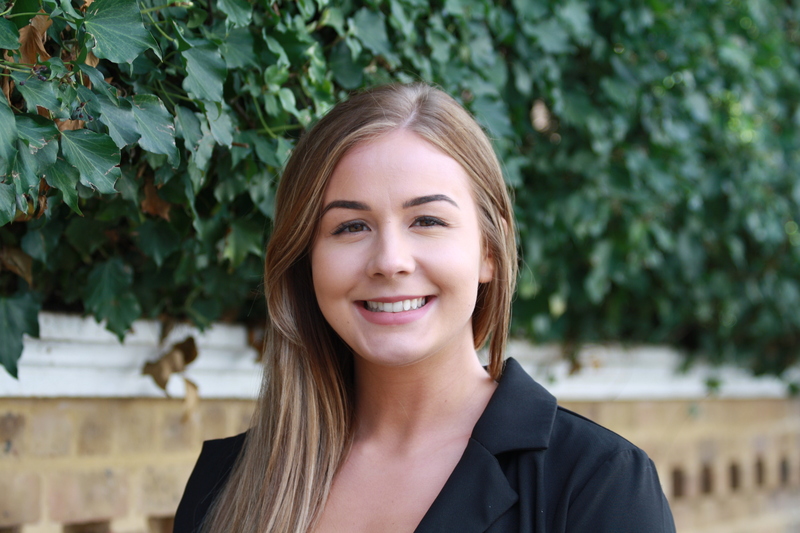 Victoria has previously worked in the Property Sector in Lettings and Valuations and is excited about progressing her career a Property manager at Principia. 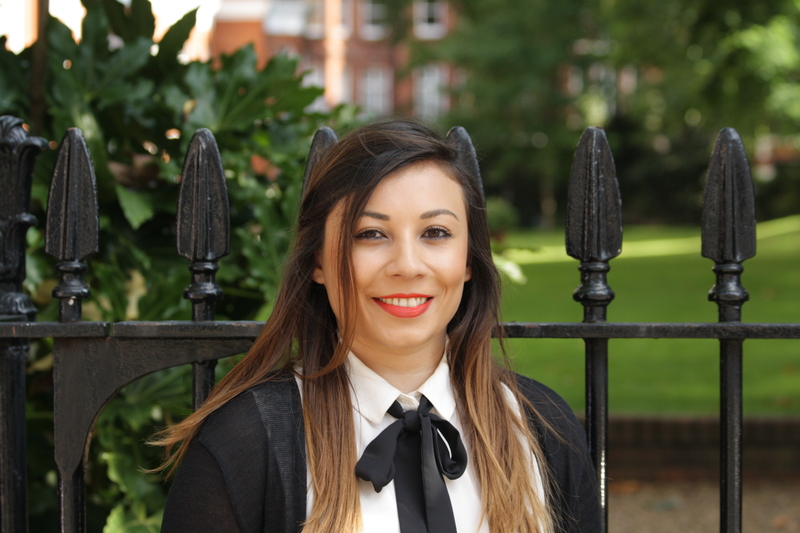 Victoria is working alongside one of our Property Managers on a diverse range of properties across London. The company culture is great, everyone is very friendly and supportive. I spent a year living and working in Australia when I was 18. It’s important to build a good relationships with your clients and keep them informed. Spending time with my friends and exploring new places. 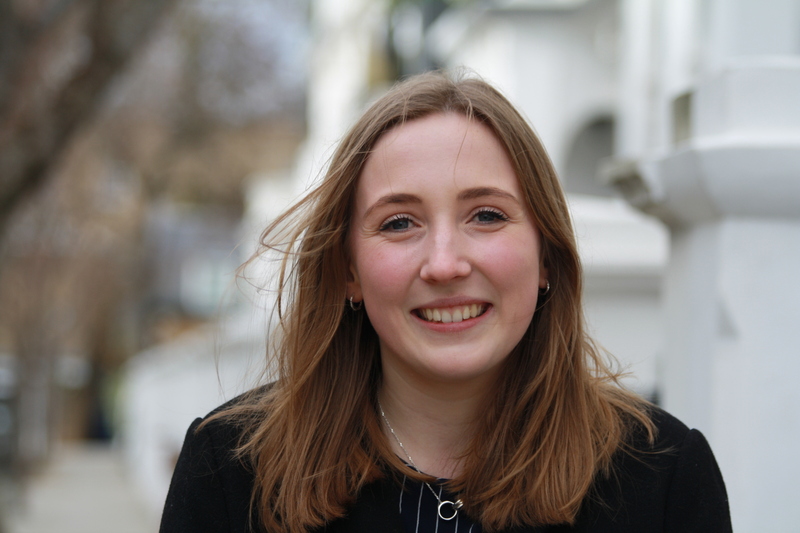 Caitlin joined Principia in 2019 to start her career in the property sector. 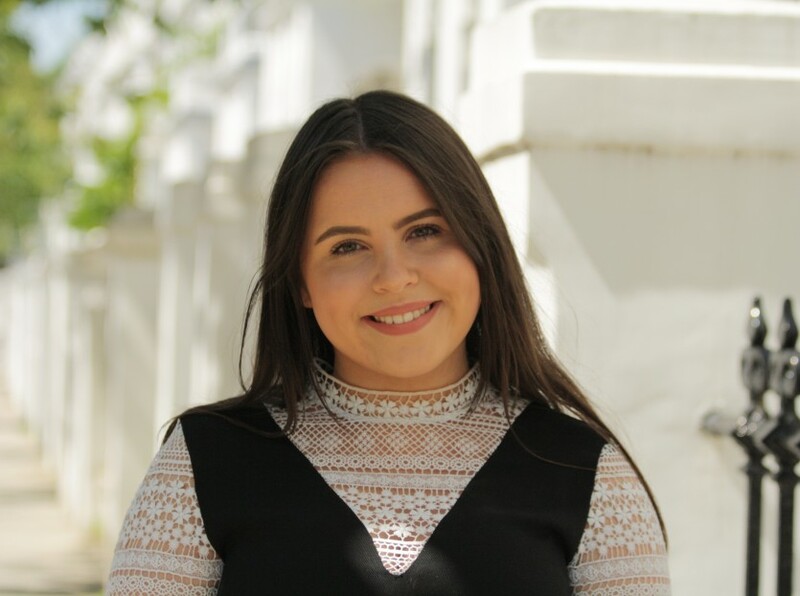 Caitlin previously worked in Insurance, in the City of London and other customer service roles, shaping her communication and inter-personal skills to the best of her ability. 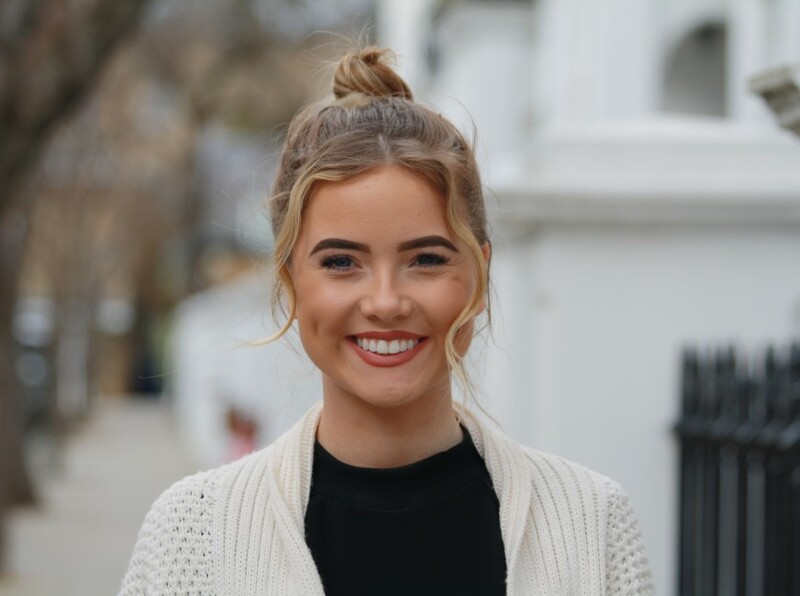 Caitlin is thoroughly enjoying gaining knowledge whilst assisting on such a diverse portfolio of properties in the Chelsea and Kensington area and is looking forward to progressing her career within the Property Industry. The environment is very friendly and welcoming which immediately puts you at ease and in turn motivates you to want to do a great job, not only for yourself but on behalf of the supportive team! If you are ever in doubt, any member of staff is more than happy to help out with their variant knowledge. I won an annual Citizenship award in my Town because I did a sponsored silence and in doing so I raised money for Comic Relief. Communication and organisation is vital in maintaining good relationship with your clients and overall being a excellent Property Manager. Emilia Clarke, I love her enthusiastic personality and I have felt inspired by all the characters she has played. I enjoy socialising with my friends and family, I also love travelling at any opportunity I get. 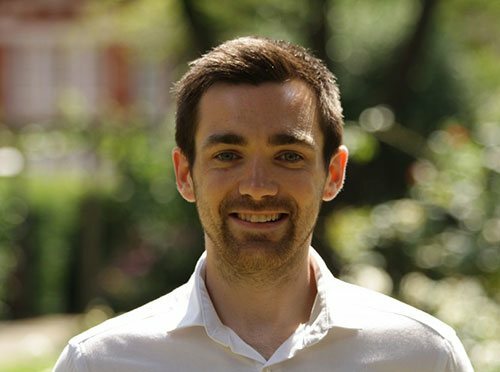 Before joining Principia, Gareth served six years in the British Army as an Operator of Military Intelligence completing tours of duty in Afghanistan and The Falklands. 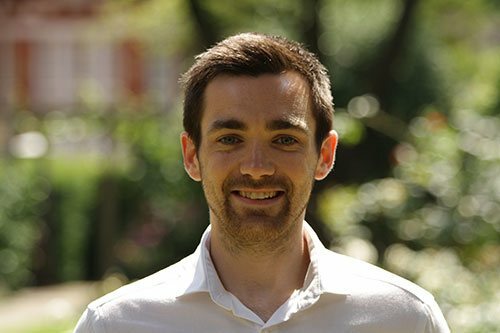 Since joining Principia as a junior accountant 5 years ago, Gareth is now the Group Financial Controller, a demonstration of his capability as an accountant, and a display of the trust the owners have placed in him. Gareth is in the final stages of obtaining his CIMA designation having completed all of his exams, all supported by the company. Gareth is also the Group Charity Co-ordinator and has successfully organised skydiving and abseiling events for his colleagues, raising thousands of pounds for our newly partnered charity, Orchid. It’s a great modern business that has a good balance of hard work, professionalism and employee welfare. In Principia the focus is on the customer. We concentrate on continuously improving our methods and processes to ensure our high standards are maintained and improved. Having served in the Army for many years, I was fortunate to join a firm with similar principles and such an immensely friendly atmosphere. Whilst in the army, I was once shot at whilst a passenger in a Chinook helicopter. Accountancy is altogether a safer profession. I always encourage anyone to tell us if there is something we can change – we are always striving to improve. Ryan Phillipe, because Ryan is the nearest match to my looks and charm. Surfing, fine dining and playing the ukulele! Sean heads up our insurance and administration department ensuring that buildings insurances are placed, insurance claims and pre-contract enquiries are dealt with effectively and efficiently. 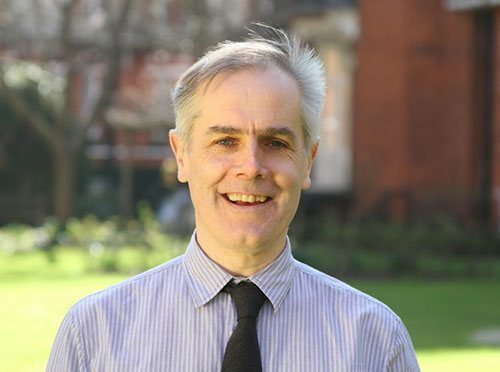 Having worked in the property industry for the last four years he has been instrumental in transforming our administration department, ensuring that all of our processes function to the best of their ability. Highly organised, responsive and thoughtful, Sean’s personable nature earns him respect from staff, clients and contractors…effortlessly. Sean plans to be a fully qualified surveyor in years to come. The working environment at Principia is busy yet relaxed. The pressure always comes from wanting to do the best job possible for our clients and earning the praise that results. Having worked for the company for over 4 years, I have been overwhelmed by the faith they have shown in me and the variety of vital tasks that I now have responsibility for. With this support, I can see the really positive impact I have had on the business which is very satisfying. I made an appearance in an FA Cup tie in 2007. Get the right help and advice when buying insurance – not all policies are the same. Win. I am competitive in everything I do. Andrew left university and joined Geo Joslin.. Here he gained experience managing small properties and offering a personal touch to his clients. As the size of properties he managed grew not only did he manage the bigger quantity of workload but more importantly was still able to hold on to the belief the client was still the most important part of managing a property and therefore still offering a service where they were listened to and their views where an integral part of the successful running of his previous place of work. 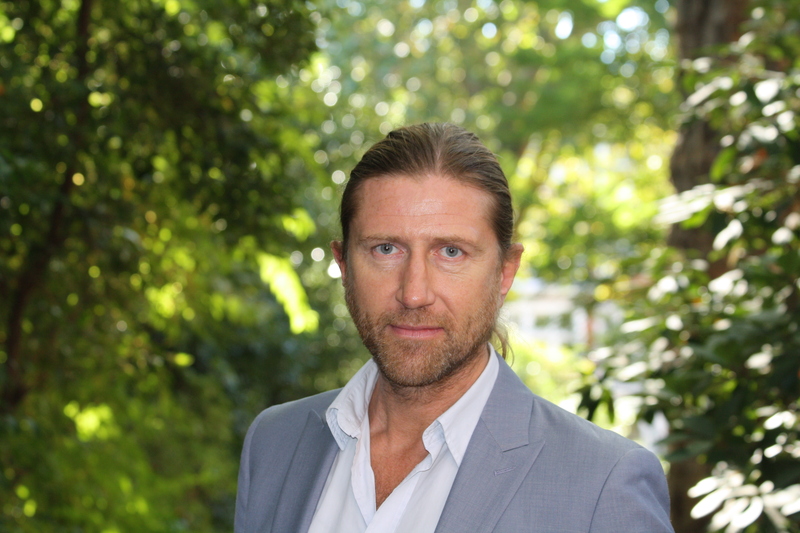 We are fortunate that Andrew has joined us and brings with his experience and his ability to offer our clients a personal experience when being dealt with. It’s a welcoming and friendly working environment. I already feel at home. When flying back from New York on-board the Concorde, I went into the cockpit and saw the curvature of the Earth.Prior to a tandem skydive, my instructor found a snake in the back-pack – glad it was found whilst on the ground. Always give good contact details – if there is a problem we need to get hold of you. James Stewart; he always comes across as very fair. Skiing, skateboarding and binge-watching TV shows. 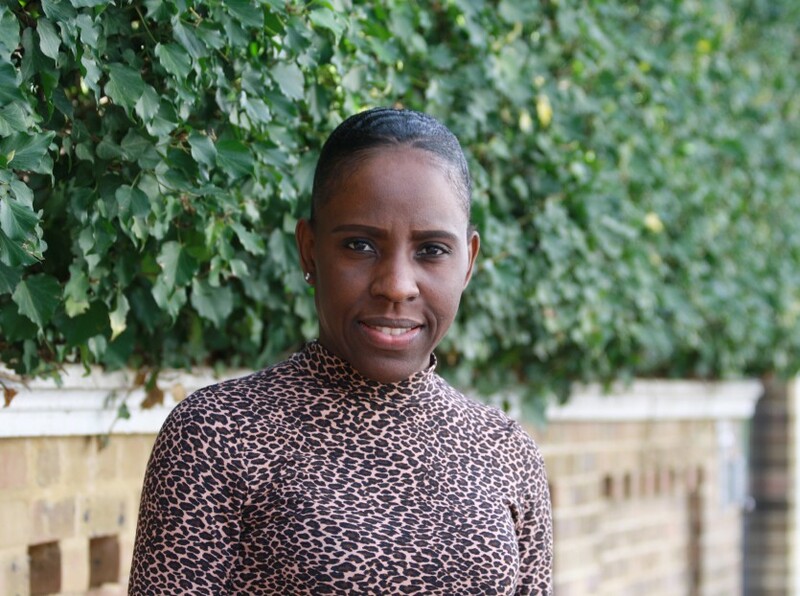 Mo joined the business in 2017, having previously worked as a Client Accounting Associate in the Corporate Relocation Management sector. A member of the Association of Accounting Technicians (AAT), Mo brings with him a wealth of knowledge gained through this qualification as well as years of accounting experience and joins a team of sharp, dedicated Accountants who manage our clients’ service charge accounts, company secretarial matters and a host of other essential duties for our clients. 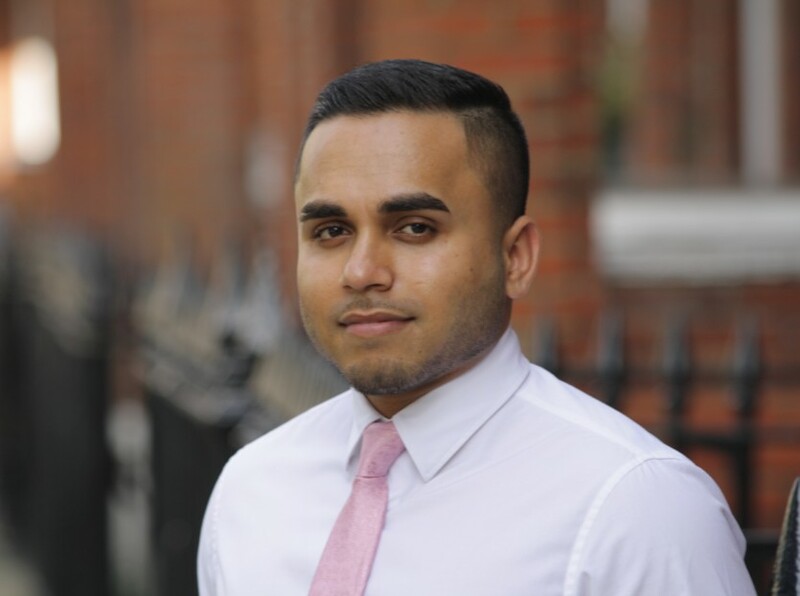 Mo is continuing to study and will be working to complete his professional Chartered Accountancy qualification, with the support of the company. I am proud to be a part of one of the most respected companies in the business, with a fantastic market reputation. The people are great – it is a joy to work with such a friendly, dynamic group of talented individuals who know how to make you laugh too. There is never a ‘dull’ day in the office. I once won an art competition and enjoyed afternoon tea with former Mayor of London, Ken Livingstone. Strong communication is key to delivering a high level of service and maintaining excellent client relationships. Dwayne ‘The Rock’ Johnson because he means business and he’s cool..like me. I like to travel and explore new places and cultures. I also love cooking, fine dining and all things food. Gina joined the Principia Accounts Team August 2017 as a Client Accountant. Gina has over 10 years in Property Accounts, previously working in both Commercial and Residential fields, four of which as a Service Charge Accountant. 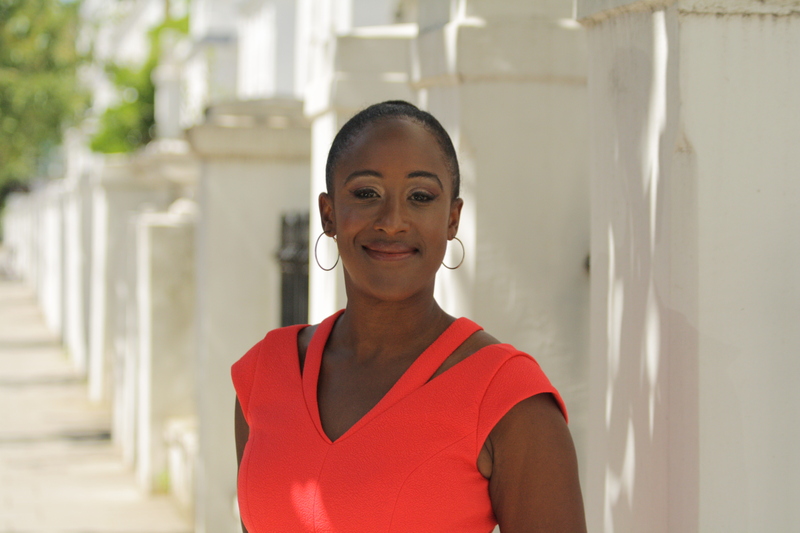 Gina has always been interested in property and has had a variety of roles in Property Accounts. Really good to be part of a very friendly, dedicated and professional team, they’re a fun bunch! Once did a mini tour of Italy playing tenor saxophone with Ealing Youth Orchestra. I’ve always approached what I do with the same level of dedication as I would do for my own home. Kerry Washington, super stylish, would definitely boost my profile! Travel! Nothing better than a family holiday on a sunny beach somewhere! 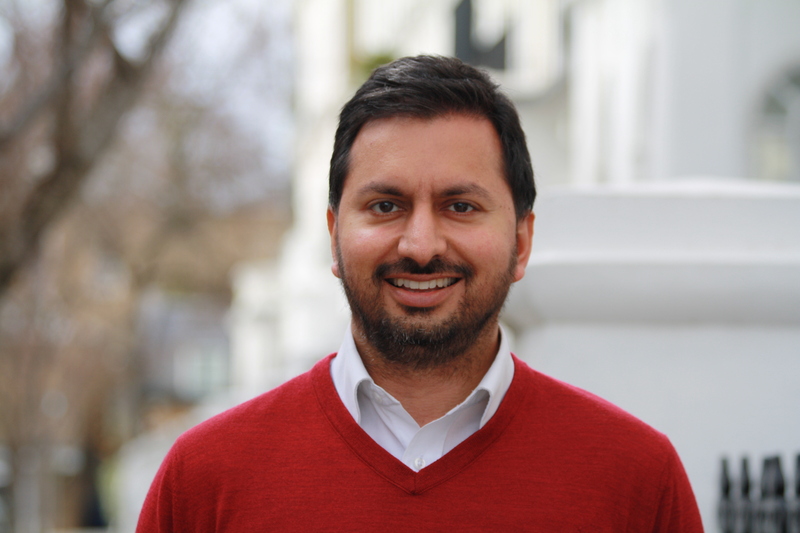 Raj joined Principia in 2018 and has nearly 15 years’ experience working for leading property management companies and charted practices. 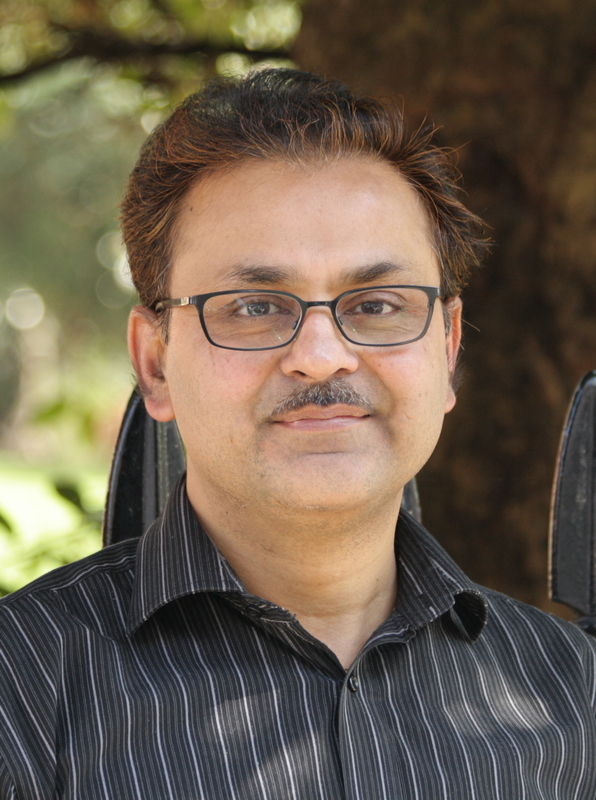 Academically Raj has bachelor’s degree in science and law. 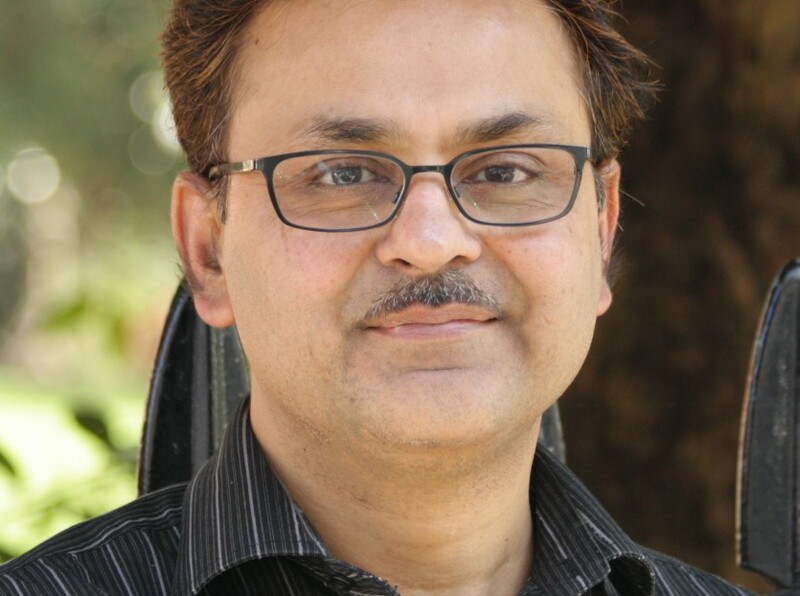 He is in the final stages of obtaining his ACCA designation having completed all of his exams except one, full member of AAT and a member of MIRPM. Raj loves playing chess, badminton, spending time gardening and exploring wildlife. Raj is a community fund raiser and loves joining fund raising walks. 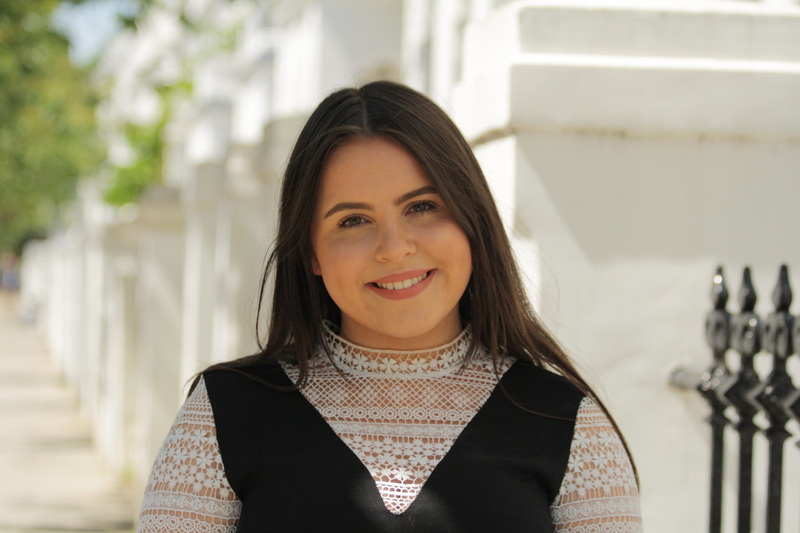 Lisa joined Principia in 2018 as an Assistant/Client Accountant. An ACCA Finalist and also a graduate of Oxford Brookes University, with a background in accounting. Lisa has gained experience in a number of areas and has chosen to continue developing her career within the property sector. I feel privileged to be a part of a friendly and professional team where no two days are the same. I won a ballet dancing competition. I love travelling an exploring new cultures and trying different variety of foods. 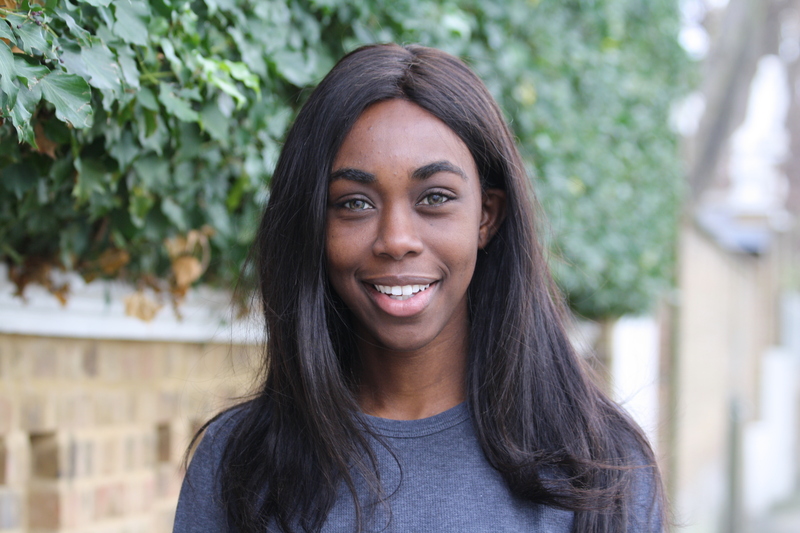 Since recently joining the Principia team, straight from Sixth form, Georgia is enjoying learning a new range of knowledge in insurance and administration, and using her new skills to assist clients. Georgia is looking forward to a long career in the Property Industry. I enjoy working for Principia as I love the working atmosphere in the office, everyone is so friendly and helpful which motivates me to work to the best of my abilities. I completed Bronze award for Duke of Edinburgh. My best tip would be communication is key, making sure you keep on top of things and always keep clients informed. Jennifer Aniston, she’s blonde like me and I love her personality. I love socialising and spending time with friends and family. Nicolo joined Principia in 2018 to pursue his career in accounting. 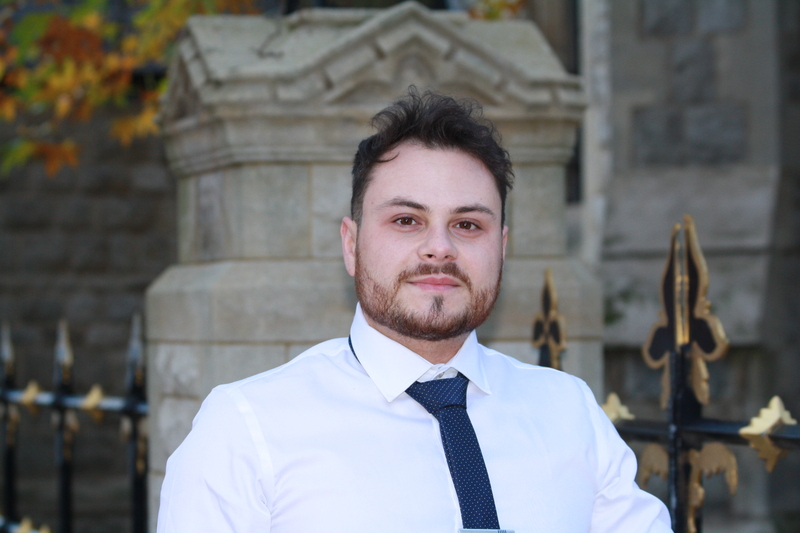 After gaining a Bachelor’s Degree in Economics and Commerce at The university of Bari (south Italy) Nicolo moved to London to carry on with his studies and is now a member of The professional body for Accounting Technicians (AAT) and is looking forward to continuing to grow within his role and chosen career in Accounting. I love cars and 007 movies.